About McFarlane's Lawn & Landscaping Inc.
Are you looking for a dependable lawn care or landscaping contractor in Cape Coral or the Fort Myers area? Call McFarlane's Lawn & Landscaping today at 239-220-8709 to schedule service or to request a free quote for any of the services we provide. 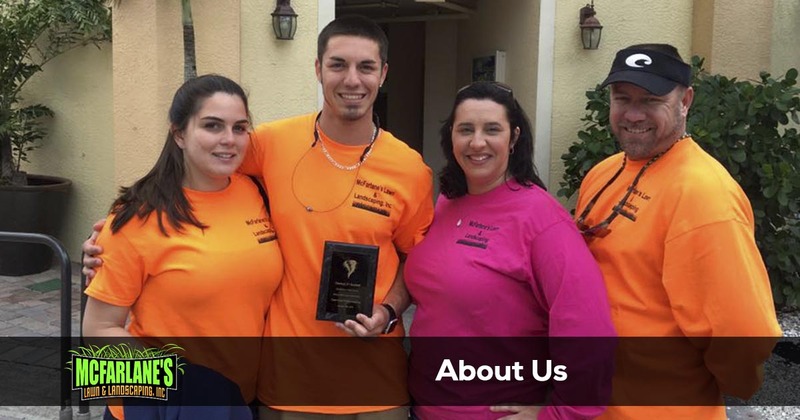 Chase McFarlane founded McFarlane's Lawn & Landscaping back in 2010 and is committed to providing the best lawn service in Cape Coral and the Fort Myers area. Chase was born and raised in Florida and has hired a dedicated team of lawn care and landscaping professionals that live in Lee County. We understand the needs of the community because we not only provide service to the area but we also live here with our families. We love where we live and want our customers to enjoy this incredible area as much as we do. With all the activities, beaches, and busy lives we all live, who wants to spend time maintaining their yard? That's where the team at McFarlane's Lawn & Landscaping come in! Not only will we do a great job of maintaining your property but we also provide consistent service and outstanding communication. We are not the typical lawn care company. If there is ever a challenge, if you have a frustration, we will be there to fix it... and make it right. You can always count on us to do whatever it takes and we stand 100% behind all of the work we perform. Every time. 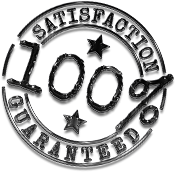 As a locally owned and operated company we make sure that we put our customers first. We strive to provide excellent customer service, fast and professional services with affordable prices. We communicate by email should there ever be a delay due to weather or other circumstances. We use the industry leading software to maintain your account information, scheduling, invoicing, and communicating any special requests you may have to our crews. When you call McFarlane's Lawn & Landscaping, you are calling on numerous years of lawn care and landscaping training and experience. We only hire the most skilled and professional lawn care professionals in the industry to guarantee your satisfaction and ensure your confidence in our services. Whether you need professional lawn mowing, landscape maintenance or tree trimming and stump grinding we have the staff, equipment and skills to get the job done right. Trust your lawn care maintenance needs to our team of experienced lawn care and landscaping professionals. Call 239-220-8709 to find out why so many of your neighbors and friends trust us for all of their lawn care and landscaping needs.